Earning this achievement is easy. 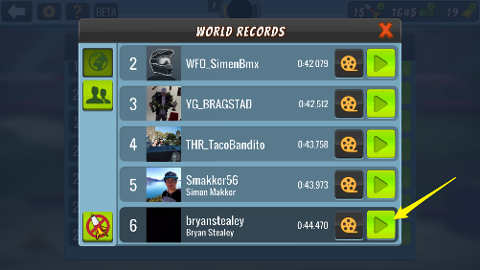 Just tap the Time Attack card from the main menu, and tap the Leaderboard icon on any track that you have previously beaten. Then find your place on that leaderboard and tap the green play button to the right. Challenging yourself on tracks is an excellent way to become a better Mad Skills BMX 2 player.